Sonoma County Winegrowers enlisted Robert LaVine to help achieve 100% sustainable certification for vineyards within the county. 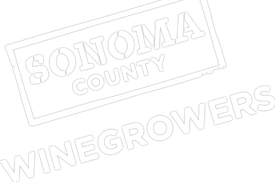 San Rafael, Calif.—The Sonoma County Winegrowers group is committing a significant share of its resources to reach its goal of certifying all of the county’s vineyards as sustainable. On April 28 the group announced it had hired Robert LaVine as its new sustainability manager, adding another full-time position to the Winegrowers’ small staff. Part of LaVine’s new role will be helping growers in the North Coast county to achieve third-party sustainable certification for their vineyards. At the start of the year the Winegrowers (formerly known as the Sonoma County Winegrape Commission) announced the goal of reaching 100% sustainable certification by 2019. Winegrowers president Karrisa Kruse said the board approved hiring a sustainable manager to help growers reach the goal. Kruse said she’s currently putting the group’s budget together but expects, in addition to LaVine’s salary, sustainability will account for about 20% of the group’s total budget, which in 2013 was around $1.2 million.